In its August 22 data release, the Building Industry and Land Development Association (BILD) revealed that the average price of a low-rise home in Toronto has increased by more than $100,000 year-over-year in July, stoking fears that the affordability situation in the city’s residential real estate segment is well and truly out of control. 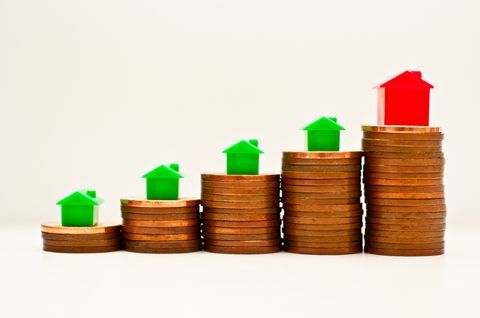 Mississauga News reported that the average price of new detached and semi-detached homes in the Greater Toronto Area last month swelled by around 12 per cent compared to the same time last year, up to $906,508. A corresponding increase was also seen in high-rise home prices in the city, which rose by 7 per cent year-over-year to $475,764. Scarcity is the major motivating factor in these increases, according to BILD president and CEO Bryan Tuckey. “Provincial intensification policies, delays in the approvals process and a lack of serviced developable land in the GTA has reduced the amount of new homes coming to the market,” Tuckey stated. Recent data supported Tuckey’s observation: Over the past decade, the supply of new homes in the GTA has shrunk by 41 per cent, from 29,238 in 2006 to 17,213 today. A recent analysis conducted by real estate brokerage TheRedPin found that a household needs to earn a sufficient amount to cover the average $124,153 required annually to own a home in the overheated Toronto market. First-time home buyers are especially hit hard by this prohibitive price barrier, the study noted.